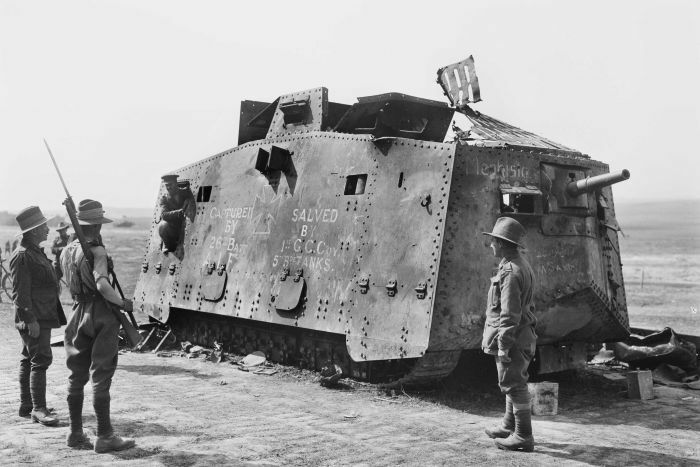 Indeed Mephisto is the only surviving A7V, any others are replicas. It’s on loan to the AWM from the Queensland Museum. It was restored by the Queensland Rail Yards (Ipswich) after it suffered from water inundation during the 2011 Brisbane floods. Im sending my GF there this weekend… Thank god she loves WW I history. I’ll have her get some good pics. Thanks for posting this.